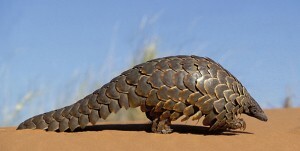 Pangolin. 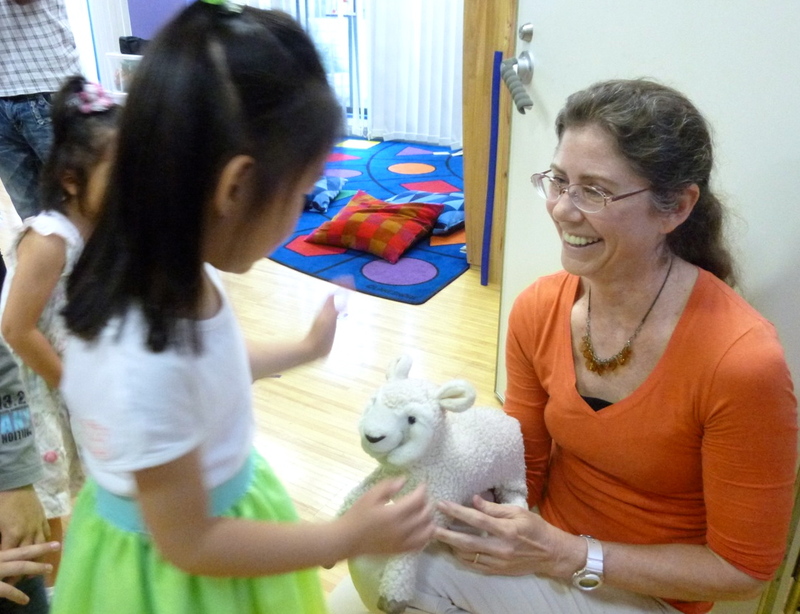 It sounds like an exotic musical instrument, but it means “something that rolls up” in the Malay language. 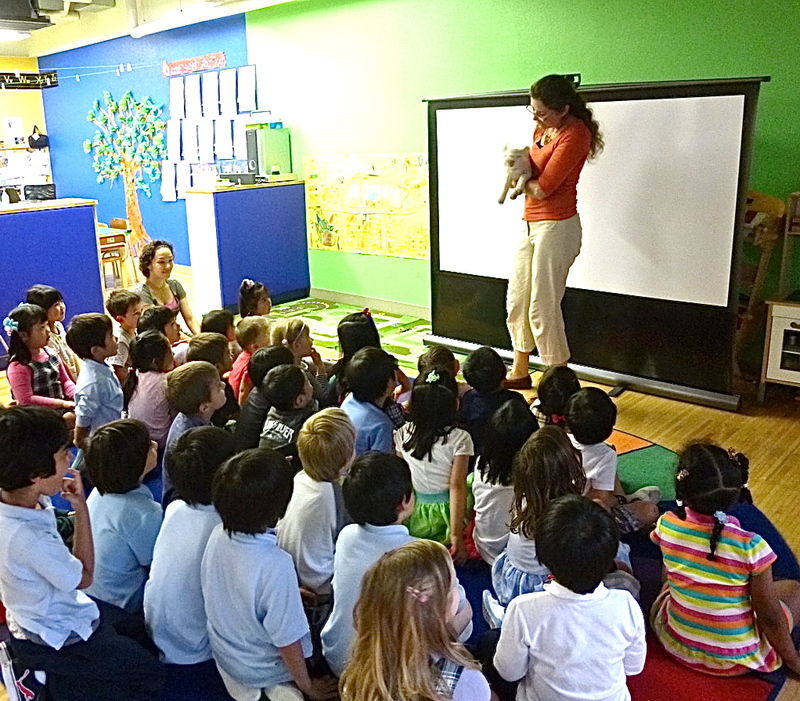 This amazing critter lives in Asia and Africa and also goes by the name of “scaly anteater,” but pangolin sounds much nicer, I think. A pangolin is a mammal which is covered with large scales that are made of keratin, the same material that makes fingernails hard. 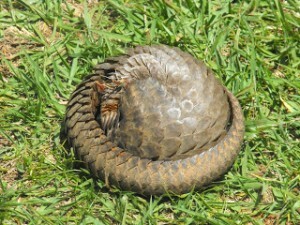 When in danger, a pangolin can curl up into a tight ball, making it look a bit like a giant, round pine cone. Its hard, sharp scales make it difficult for a hungry lion, for example, to make a meal of the creature. 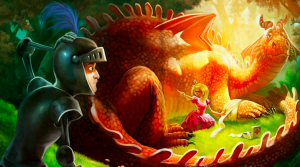 Their impressive scales do not protect them from human hunters, however. They are hunted for their meat and their scales and they are now on the list of endangered animals. 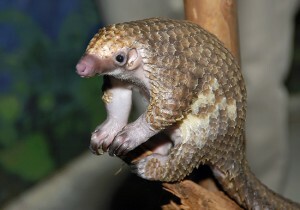 Most pangolins are nocturnal, meaning they are active at night. Their eyesight is dim, but they have sensitive noses to sniff out tasty insects. Some hang from their prehensile tails in the trees while they strip away bark to find bugs. Pangolins have long claws to help them climb trees and to help them dig up ant and termite nests. Their long, sticky tongues are ant magnets. They can slurp up thousands of ants in one night. They have no teeth for chewing up those ants. 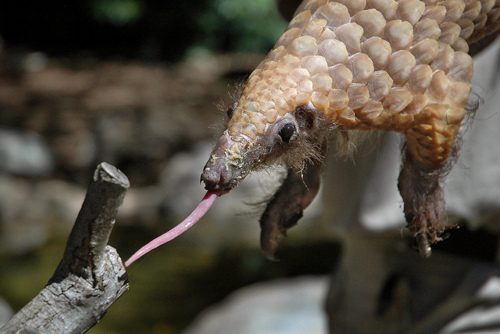 The ants are chewed up in the pangolin’s gizzard-like tummy which sometimes contains tiny rocks or sand to help grind the food. 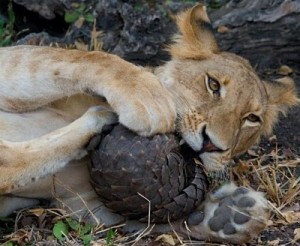 Pangolin babies are only about 6 inches long at birth and weigh about one pound. The mother will nurse her baby for about 4 months. It rides on her tail when they go out of their den, and if the pangolins encounter danger, the mother will cover her baby with her body and roll up tight for protection. What do you think of the pangolin? What is the pangolin’s most amazing feature?